Bullying in schools has become widely viewed as an urgent social, health, and educational concern that has moved to the forefront of public debate on school legislation and policy. Increasingly, elected officials and members of the school community have come to view bullying as an extremely serious and often neglected issue facing youths and local school systems. The focus on youth bullying has intensified over the past 12 years as a catalysed reaction to school violence that is often linked explicitly or by inference to bullying. 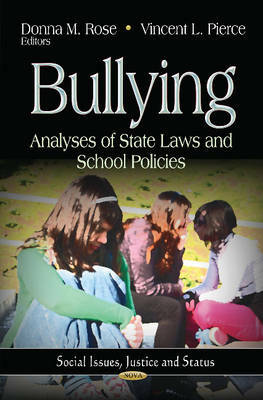 This book examines the need for more comprehensive information about bullying and the current status of state legislation, as well as how information on how existing laws and policies translate into practice within elementary and secondary school systems.